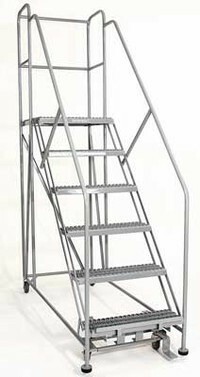 The Series WP one-piece set-up steel work platforms are designed for safe access to required work levels. 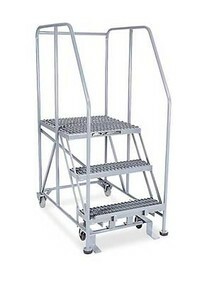 WP work platforms are easily moved from job to job on the rear 4" rigid casters. The easy 50 degree climbing angle permits forward descent to comply with ANSI standard. Two 4" rigid heavy duty casters on the rear are standard. The optional Safe-Lock on the step side provides greater mobility (See Options). 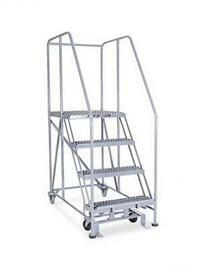 Steps and platforms are constructed of heavy duty non-slip Grip Strut supported by 1" O.D. tubular frame.